Weekends usually mean more extravagant breakfasts. I try a little harder and we can sit a little longer to enjoy the fruits of my labor. Scotch Eggs are not a quick breakfast…but they are worth the work. 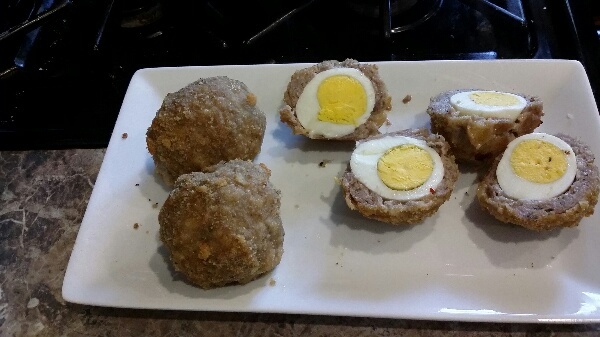 Scotch Eggs are something you don’t find everywhere. These are usually for breakfast for us, but can be served as an appetizer with different mustards. 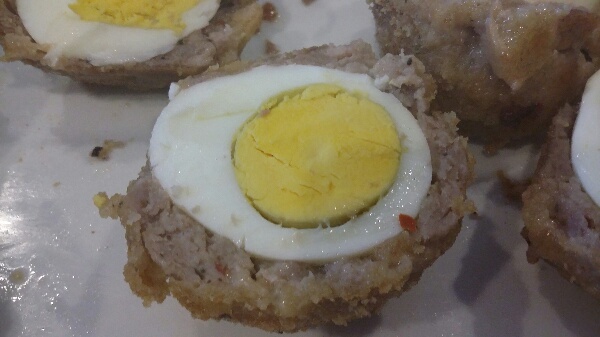 On wikipedia, they suggest that Scotch Eggs are a perfect picnic food. I hadn’t thought of this as an option before, but these will be served as a picnic item now! We have made these quite a few times over the years. They are quite delicious. These were particularily wonderful because Paul made the breakfast sausage for them the night before, but any good breakfast sausage would work. Break the sausage into fourths. Pat down each fourth of sausage into a patty. 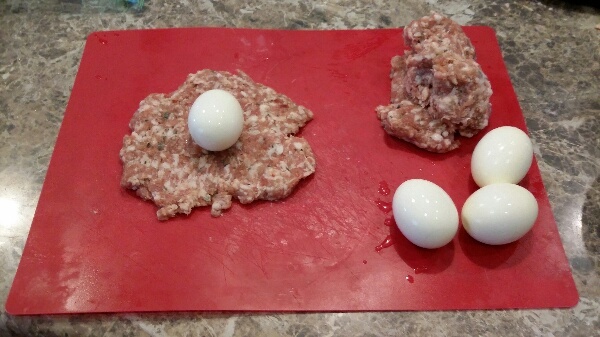 Roll the hard boiled egg in flour then cover with the sausage. Try to make sure the sausage covers the entire egg evenly. 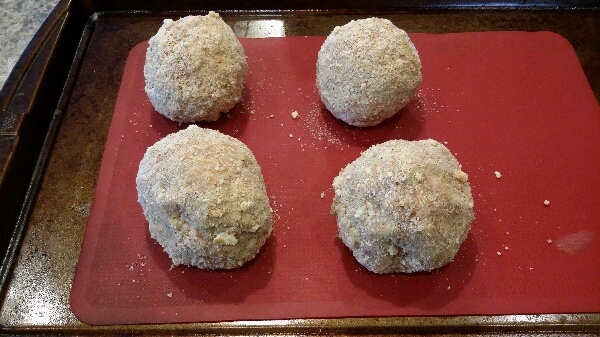 Roll ball into flour, milk and breadcrumbs, in that order. Place on a foil or silpat lined baking sheet and repeat with the remaining eggs. Place eggs into the preheated oven for 30 minutes. Serve with spinach salad and fruit.